Trupanion is a pet health insurance company that covers both dogs and cats. This company is our pick for Best Longterm Pet Insurance. Unlike some other pet insurance companies, Trupanion’s premiums don’t increase as your pet gets older. If you are looking to insure your pet for life and don’t want to be burdened age-related rising costs, we recommend Trupanion Pet Insurance. 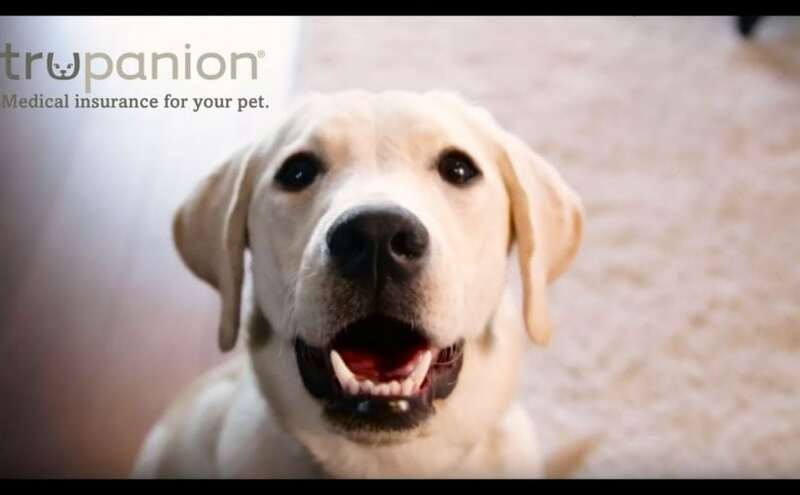 In our Trupanion review, we go over more pros and cons of this pet insurance company. Trupanion differentiates itself from other pet insurance companies through its policies. While most pet insurance providers offer varying deductibles and premiums, Trupanion has just one simple plan. The company pays 90 percent of veterinary costs for eligible claims once the deductible for that condition is met. This insurance company can also pay your veterinarian directly, so you don’t have to worry about filing a claim later. Trupanion’s deductibles are per-condition and per-lifetime. This means that once the deductible has been paid for a specific condition, you never have to pay a deductible again for that condition. 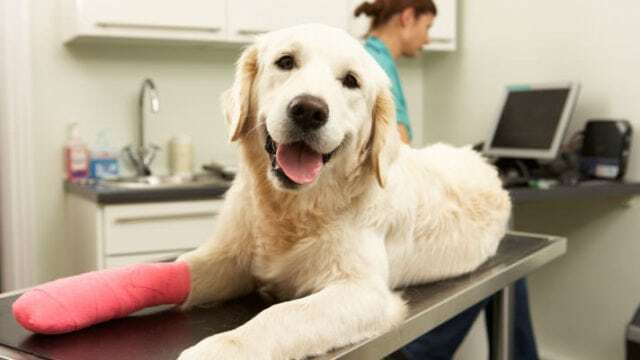 That being said, if your pet is injured or sick multiple times with different conditions, you will pay more in deductibles than you would with another pet insurance provider. Typically a per-condition deductible is more expensive than other plans, but that’s not always the case. If your pet has a chronic condition but is otherwise healthy, you won’t have to pay an annual deductible for that condition. 90 percent reimbursement with no payout limits: A 90 percent reimbursement speaks for itself. Therefore, you will only be held responsible for paying ten percent. 30-day money back guarantee: All good companies should stand behind its products. Trupanion is no exception. If you decide within the first 30-days of your pet insurance policy that you no longer want to pay monthly premiums or you would rather not cover your pet with pet insurance, the company will refund your money. “A” BBB rating: BBB ratings help you know how satisfied customers are. These ratings can help you know about how the business responds to customers and handles complaints. You can rest assured that this company takes care of its customers. Optional add-on benefits: Some dogs need special services like acupuncture, physical therapy, hydrotherapy and behavioral therapy. If you adopt a breed that is known to be aggressive or suffer from anxiety, you may want to add behavioral therapy to your plan. Similarly, a highly active dog that is prone to accidents may need physical therapy or hydrotherapy for an injury. 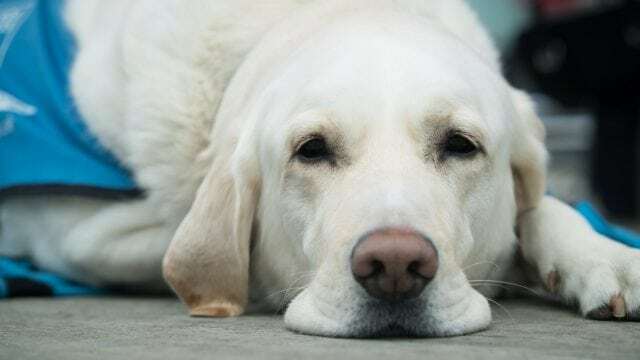 Not all pet insurance plans offer these add-on benefits, so Trupanion is an excellent choice if you want these options. Pet is covered in the U.S., Canada and Puerto Rico: While your premiums are affected by the city you reside in, veterinary care is not. If you decide to bring your pet with you on vacation, your pet will be covered if something comes up. Unlimited annual limit option: When pet insurance companies talk about payout limits, they are talking about the maximum amount of money they are willing to pay you. However, Trupanion will not cap your reimbursement or put your coverage on hold because of their unlimited option. $35 administration fee: The fee covers your initial account set up and monthly billing costs. This is the only administrative fee you will pay for the lifetime of your policy. 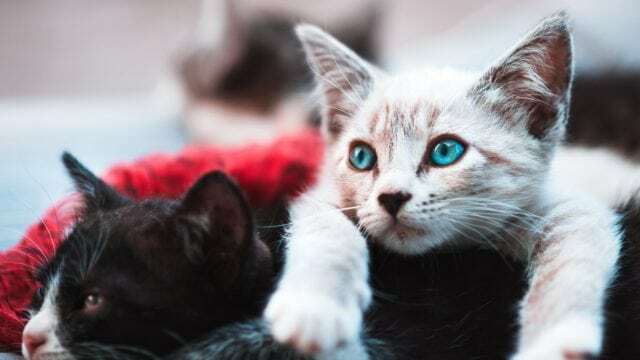 More expensive than competitors: Price is important when selecting a pet insurance plan, but it’s not the most important factor. Trupanion may have more expensive monthly premiums depending on where you live. If you want to find the lowest monthly premium, this is not the best pet insurance plan for you. No wellness plan: Trupanion made a choice to not charge extra for something pet owners should expect. Therefore, health plans from Trupanion do not cover exam fees and preventative care. Premium Increases: Trupanion will not raise your premium due to your pet’s age, but this does not mean your premiums will remain constant for life. Veterinary inflation costs can cause your premiums to increase by up to 20 percent a year. However, this is standard for all pet insurance companies. 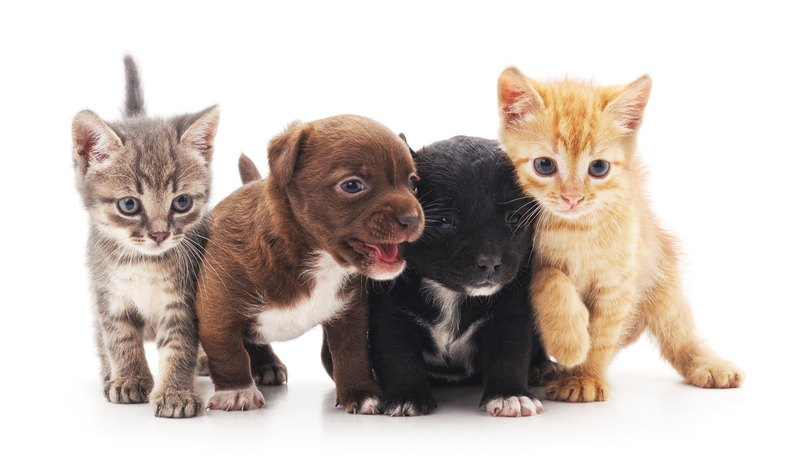 Upper age limit: Pets are not eligible for enrollment after their fourteenth birthday. Waiting Periods: Policies have a five-day waiting period for injuries and a 30-day waiting period for illnesses. However, the length of the waiting period is on par or better than other pet insurance providers. 30-day free look period: This is a money-back guarantee to help you know for sure if this is the right insurance plan for your pet. Claims: Must be submitted within 90 days of treatment. Claims are paid within 60 days. Coverage transference: If you become sick or are no longer able to care for your pet, you can transfer your Trupanion policy to a new owner. Direct payment to the veterinarian: Trupanion offers the option to cut out the middleman (in this case, you) and pay the vet directly. You don’t have to worry about submitting claims forms and being reimbursed later. Ask your preferred vet in advance to make sure the vet is willing to do this. Optional Dental Coverage: You can add dental plans if you want to protect your pet’s teeth. Per-incident deductible: Most pet insurance companies have an annual deductible, meaning you pay a fixed amount each year. Trupanion’s per-incident deductible means you have to pay a deductible for each new illness or injury. You could have to pay toward multiple deductibles in a year. Underwriter: American Pet Insurance Company. Illnesses or injuries that had evidence of existence within the 18 months before the policy start date, including injuries or illnesses that are not in medical records. Injuries or illnesses that were controlled or treated at any time within the 18 months before the policy start. Costs during the 18 months before policy start and 30 days after policy start for cataracts, luxating patella, elbow dysplasia, glaucoma, entropion, cherry eye, ectropion, and issues with the cranial cruciate ligament. Hip dysplasia if it had any signs before the policy’s start. Illnesses or injuries that are caused by certain activities. This applies if a similar activity happened twice within the 18 months prior to policy enforcement. For example, these activities could include biting and eating non-food items. Treatment cost for any subcutaneous or cutaneous mass(es) that are present in the 18 months before or 30 days after policy start date. Cost of intervertebral disc disease if the issue had any signs of potential problems before the policy. A Trupanion review would not be complete without a list of what is and what is not covered by this pet insurance company. You can select add-on packages if you want more coverage. Trupanion’s monthly premiums vary based on a number of factors, including your pet’s breed, age and location. Below are sample rates across a variety of breeds and ages. To get an exact quote for your pet, get a quote from Trupanion. This pet insurance company has a standard 90 percent reimbursement across all plans. You can also choose an optional deductible of $0 to $1,000 and unlimited annual limit. Trupanion has an excellent history of customer service. We also like the option of having the company pay the veterinarian directly. The add-on options are another benefit, as is the unlimited annual limit. After our throrough Trupanion review, we consider this a great option for pet insurance. Do you have Trupanion as your pet insurance company? Leave a Trupanion review below! Sent in records. They did not respond sent again. Nothing. Vet sent in. Nothing. They claimed they did not have them. Sent again. Repeatedly. Vet sent again. Our costs were piling up. Sent again. Called. Vet sent also. By mail and by FAX. Nothing. Time passed. More expenses. Records sent again. Nothing. At 11 months, vet’s bulling person called them. Went over all the records. Was told they never received. Baloney. A week and a half later, “Ooops.” Found them. We finally received many checks for each claim. Over $1100 we had been waiting so long for. Our vet told us we were not alone. Others of her patients went through the same thing. The last claim they have was October 20. It is now December and our battle has begun again. We got Healthy Paw for our third dog. Wishing we had done that for all. No claim forms. Photo invoice and send. About a week later the check arrives. We live them. Trupanion is a criminal racket.